The 446,287 special votes cast during last month’s election have now been counted. According to the Electoral Commission, the final election tally gives National 44.4 percent of the party vote and 56 seats, Labour 36.9 percent and 46 seats, New Zealand First 7.2 percent and 9 seats, the Greens 6.3 percent and 8 seats, and ACT 0.5 percent and one seat. In other words, as a result of the special votes, National has lost two seats from the provisional total on election night, while Labour and the Greens have gained one seat each. In terms of potential future coalition deals, in a Parliament where 61 seats are needed to govern, the National Party and New Zealand First would have 65 seats between them, while Labour, the Greens and New Zealand First would have 63 seats. Under New Zealand’s previous First Past the Post voting system the party with the most electorates would have won the right to govern. Had the 2017 election been held under FPP, in all likelihood National, which won 41 electorates compared with Labour’s 29, would have gone on to form a government – albeit with only 44 percent of the popular vote. Critics argued, however, that such minority governments were unfair to the majority who did not vote for the winning party. This, and other factors, gave rise to the review that resulted in a change to the Mixed Member Proportional voting system. Fast forward 21 years, through seven previous MMP elections, to 2017 and we now have the bizarre situation where the most popular party – and by a clear margin – could be locked out of government entirely. So, even though the National Party gained ten more seats at the election, than Labour, if New Zealand First decides to team up with Labour and the Greens in a ruling coalition, the 1,152,075 people who voted for National – out of the total of 2,630,173 votes cast – would have no representation at all in the new Government. In other words, while MMP has delivered proportional representation, it has not delivered proportional power. In fact, we have seen this many times before, when small parties can, and do, hold the country to ransom, wielding influence that is far greater than their proportion of the vote. And while critics are currently expressing strong warnings about the power that New Zealand First now has, we should not forget that in the last three Parliaments, the Maori Party was able to impose its radical separatist agenda onto the country – even though in the 2014 election it gained only 1.3 percent of the total party vote. “Adopted in 1996 and modelled on the electoral system created in post-war Germany to ensure that no extremist party could again win total power as the Nazis did, MMP was promoted to Kiwi voters as a means of reasserting control over rogue politicians. In fact it turned out to be every bit as flawed as the first-past-the-post system it replaced. “Under MMP, voters are shut out of the game the moment the votes are in. Unless one party has an absolute majority, which hasn’t happened in any of the eight elections since MMP was introduced, the politicians then disappear behind closed doors to do whatever furtive horse-trading is necessary to cut a deal. The election result has some claiming it’s time for another review of MMP. In particular, the ‘wasted’ vote arising from the demise of the Maori Party and the failure of The Opportunities Party and other minor parties to gain Parliamentary representation, has led to calls for a reduction in the 5 percent party vote threshold to enter Parliament. In the last three elections, parties bankrolled by wealthy individuals, who positioned themselves at number one on their party list, attempted to win seats in Parliament. Had the threshold been dropped to 4 percent, Colin Craig and the Conservative Party would have entered Parliament in 2014, and if the threshold was 2 percent, Gareth Morgan and TOP would have been successful at this election. 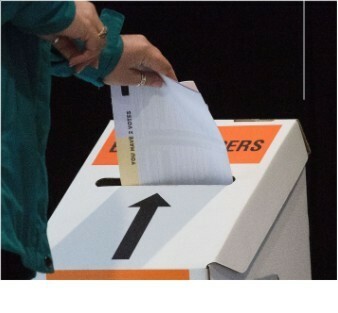 Calls to reduce election thresholds are common in countries with proportional voting systems. In fact, following a decision in Germany by the Constitutional Court in 2011, that the 5 percent threshold for European Parliamentary elections disadvantaged small parties and was unconstitutional, the threshold was reduced to 3 percent. However, the Court then ruled the new three percent threshold also hurt the equal opportunities of parties and so the threshold was then removed altogether. As a result, while Germany has still retained a 5 percent threshold in its Federal Parliament, where five parties are represented, in the European Parliament, the seven parties that represented Germany before the threshold was removed, have now grown to 15, with seven of them – including the neo-Nazi National Democratic Party – having only one member each. In other words, concerns that removing or reducing the threshold under proportional electoral systems would undermine political stability through fragmentation and the rise of radical parties, has indeed been borne out. If New Zealand’s five percent threshold was lowered, and it was easier for more extremist minor parties to hold the balance of power, then all of the concerns that are currently being raised by the critics of New Zealand First would be exacerbated. Those critics have also been disapproving of New Zealand First’s insistence that the special votes had to be counted before coalition talks could begin. However, they need to remember that in the past, the special votes have had a profound impact on election results. In 1999, the 225,329 special votes pushed the Green Party over the threshold for Parliamentary representation, resulting in them gaining and other parties losing seven seats – one from New Zealand First, two from National, three from Labour and one from the Alliance. There have also been criticisms about the timeframe of coalition negotiations, but the overseas experience with MMP shows that most coalitions take months to formalise, rather than weeks. The record is Belgium, which, in 2011, went 589 days without an elected government! That was even longer than in Iraq, which struggled in 2010 to form a government after the fall of Saddam Hussein, only managing to do so on day 249 of the stalemate. In Germany, which held its election the day after ours, coalition negotiations aren’t expected to deliver results until at least three months after the election. And in Holland, which held its election back in March, a ruling coalition still hasn’t been finalised. In New Zealand, the length of time between the election and the swearing in of a new government has varied from just over three weeks in 1999, to over eight weeks in 1996 – our first MMP Government. Over the last three elections, the formation of a National-led coalition has taken around four weeks. One of the most notable aspects of our election was the demise of the Maori Party – at least from Parliament. Many commentators have argued that this was due to it becoming too close to the National Party through its coalition deals over the last nine years. While that may have had an impact, there are many other factors that have contributed to the Maori Party losing the support of voters on the Maori roll. One that commentators don’t mention is the fact that much of what the Maori Party stands for is at odds with what most New Zealanders want – including most Maori. The Party’s ideology embraces the class system, tribalism, and racial privilege – “values” that are the antithesis of what it means to be a Kiwi: fairness, equality, humility. The net result of the Maori Party’s agenda is a tribal elite that is doing very well for themselves, while disadvantaged Maori continue to struggle. Quite simply, by becoming a vehicle for Maoridom’s elite, the Maori Party lost touch with the needs of its electorate base. As it turned out, however, most Maori voters did not support the Maori Party’s separatist approach, preferring instead to support the Labour Party candidates in the Maori seats and be part of the mainstream. In other words, the compulsory teaching of the Maori language is the key to imposing a Maori world view – and Maori supremacy – onto New Zealand. It’s no wonder sovereignty advocates are so strongly pushing for the compulsory teaching of the Maori language in schools. It’s a pre-requisite for their march to ultimate power. While the Maori Party have lost their Parliamentary representation, it would be naive to think they will disappear. No doubt they will return to activism while they rebuild their party in the hope of coming back as a more powerful force in three years time. That activism will include targeting the most impressionable members of our community, with a campaign to make Maori language compulsory in our schools – and continue to portray Maori as the chief victims of our history. There are too many people warming the seats of the beehive as they destroy NZ who we can never get rid of because of their position on the list. I am hoping that this election result sees the end of MMP. In my view, it is an absolute disaster. Would anyone have voted for it, knowing that fringe parties would actually get to hold the balance of power? Also, agree with the comment above, re the list seats, and the double dipping they can provide. List MPs are answerable only to their party bosses, not to the community. won’t even talk. Why were more safeguards not put in? It should be the highest polling party that gets to lead the coalilton talks, not one of the fringe parties. It is just back to front that the highest polling party, by far, has been relegated to the wilderness, whilst the losing trio get to lead the country. This is not what MMP was meant to be about, and it is a system I didn’t vote for. FPP is vastly superior, where the highest polling large party gets to be government, therefore having moral authority. As long as MMP stays in its current form, I will not vote again. The decision was taken away from the voters and put in the hand of a handful of competing and at times, self serving, politicians. It’s a joke to the voters and to robust democracy.